Planning is underway for TEDxCharlotte 2011, which takes place October 15, and two key deadlines are approaching. Organizers are accepting nominations from the public for speakers for the event and the deadline to apply is June 15. Also, the deadline to apply to attend the all-day conference is a month later on July 15 has been extended to July 25. TEDxCharlotte, now in its second year, is a local, independently organized event held under the guidance of the world-renowned TED (Technology, Entertainment, Design), which has held annual conferences since 1984 now in Long Beach, Palm Springs, and Edinburgh, Scotland to "bring together the world's most fascinating thinkers and doers." On a smaller scale, hundreds of TEDx events are held worldwide, and TEDxCharlotte is seeking to solidify its place as an annual gathering for Charlotte's creative community. The theme for this year's conference is "Dream-makers & Risk-takers." 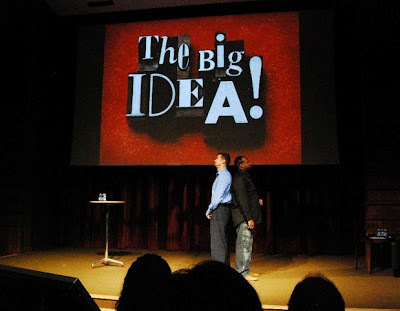 Communications impresario Tracy Russ and poet Quentin Talley presented at last year's TEDxCharlotte conference. If you're interested in being a speaker at TEDxCharlotte, you can submit an application and an optional three-minute YouTube video. Ideal candidates will address their idea, what has been done to move it forward, and why their idea should be heard. Their concept should also resonate with the TEDxCharlotte 2011 theme. More details can be found at www.tedxcharlotte.com/speakers. The process to register to attend is selective as well since seating is limited. Prospective attendees should apply at www.tedxcharlotte.com/attend where after entering your basic contact information you'll be asked to answer four open-ended questions such as "Imagine you can travel back in time...what advice would you give to your 11 year-old self?" The interesting--and commendable--thing about the application process is that all identifying markers such as applicant’s name, job title, and organization are removed before being evaluated--so who you are or who you know won't necessarily get you in. Confirmed event attendees will be charged a fee of $20, which will include a continental breakfast, lunch, and snacks all day. TEDxCharlotte 2011 "Dream-makers & Risk-takers” will be held October 15 at Dana Auditorium at Queens University of Charlotte, the host partner. For more information, visit www.tedxcharlotte.com, or on social media at facebook.com/TEDxCharlotte and twitter.com/TEDxCharlotte. UPDATE: There's a TEDxCharlotte 2011 Open House scheduled for Friday, June 24, 6:30-8 p.m. at Dolce Vita in NoDa, 3205 N. Davidson St. Click here for more details.